Dr. Narayan has made pioneering contributions in laser-solid interactions and transient thermal processing of materials, laser annealing and pulsed laser deposition, defects and interfaces and domain matching epitaxy. These contributions have resulted in novel functional materials such as supersaturated semiconductor alloys, metal-ceramic nanocomposites, laser-diffused solar cells, and discoveries of Q-carbon and Q-BN related materials, which are harder than diamond and exhibit record high-temperature superconductivity in B-doped Q-carbon. These discoveries have impacted diamond and c-BN related devices, high-efficiency Nano-Pocket LEDs for Solid-State Lighting, new era in oxide electronics, multifunctional smart sensors, and nanomagnetics for information storage. For all of these accomplishments, Narayan received North Carolina Science Award (State’s highest civilian honor) and was feted as “Michael Jordan of microelectronics” in the Chronicle of Higher Education (2010). The discoveries of Q-carbon and Q-BN and conversion of carbon into diamond and h-BN into c-BN at ambient temperatures and pressures in air represent a major breakthrough in science and technology of diamond and related materials. This fundamental discovery relates to melting of carbon in a super undercooled state (over 1000K) below the normal melting point, and rapidly quenching to form a new phase of carbon (named Q-carbon) or into diamond determined by the degree of undercooling. The remarkable journey of the discovery of Q-phases and direct conversion of carbon into diamond and h-BN into c-BN started with his seminal papers in Science (Science 204, 461 (1979) and Science 252, 416 (1991)), which culminated in 2015-17 with a series of papers in ACS Nano 11, 11915 (2017); ACS Nano 11, 5351 (2017); ACS Appl. Nano Mater. 1, 807 (2018); APL 112, 223104 (2018); APL Materials 3, 100702 (2015); APL Materials 4, 202701 (2016); J. Appl. Phys. 118, 215303 (2015); J. Appl. Phys. 119, 185302 (2016); Materials Res. Letters 6, 353 (2018); MRS Comm. 2018 doi:10.1557/mrc.2018.35 ; and ten US Patents and two International Patents Pending. These patents have been licensed by Q-Carbon, LLC (www.q-carboninc.com) to commercialize Q-carbon, diamond, Q-BN and c-BN based products. He has received 2017 R&D-100 Award for Q-carbon and diamond related products; and 2018 R&D-100 Award Q-carbon harder than diamond with record high-temperature superconductivity. Dr. Narayan’s group’s primary research focus is on novel thin film heterostructures involving epitaxy across the misfit scale of oxides and nitrides and their integration on practical substrates including the (100) Si and sapphire substrates (US Patent # 7,803,717). Narayan invented domain matching epitaxy (DME), which is based upon matching of integral multiples of lattice planes across the film-substrate interface, to address epitaxial growth of heterostructures across the misfit scale (US Patents # 5,406,123 & 6,955,985). The proposed DME paradigm and strain relaxation mechanisms were verified by in-situ X-ray diffraction studies in a synchrotron. The DME paradigm is revolutionizing the growth and integration of III-nitrides and II-oxides on polar (c-sapphire) and nonpolar (r-sapphire and Si(100)), where fully relaxed films can be grown on substrates involving large misfits. Kopin (and Kobrite) Corp have licensed Narayan’s ten patents on DME and novel ZnMgO-ZnCdO materials (US Patents # 6,518,077 & 6,423,983) in addition to his patents on Quantum confined NanoPocket LEDs and low-resistivity transparent epitaxial Ohmic contacts to manufacture high efficiency LEDs for solid state lighting(US Patents # 6,881,983; 6,847,052; 6,734,091; 7,122,841). Narayan also pioneered the concept of solute trapping in semiconductors by his discoveries of laser annealing in the late seventies and the formation of supersaturated semiconductor alloys for which he received 1981 US-DOE Award and 1983 IR-100 on Supersaturated Semiconductor Alloys that form the backbone of modern Integrated Circuits. 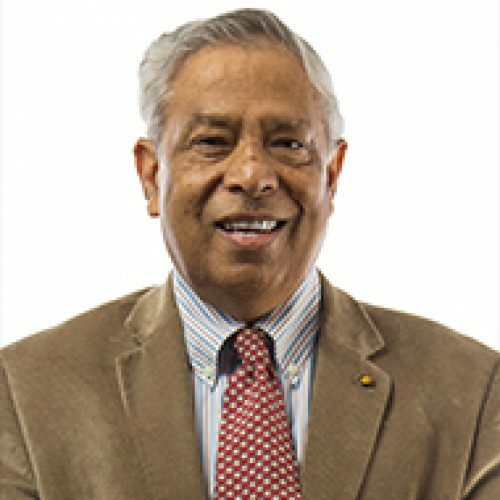 Narayan received the 2011 Acta Materialia Gold Medal for these pioneering contributions and his leadership in materials science worldwide. The concept of solute trapping, which was introduced by John Cahn in the early seventies, resulted in the 2011 Kyoto Prize for Cahn and the 2011 Nobel Prize for Dan Shechtman for his work on quasicrystals which formed due to Mn solute trapping in aluminum-manganese alloys. Bhaumik, A., & Narayan, J. (2018), Applied Physics Letters, 112(22). Narayan, J., Bhaumik, A., & Sachan, R. (2018), Journal of Applied Physics, 123(13).